Vikas Tiwari has contributed a new project, called Forgot Password Functionality for Domino. Read his blog for a detailed description. 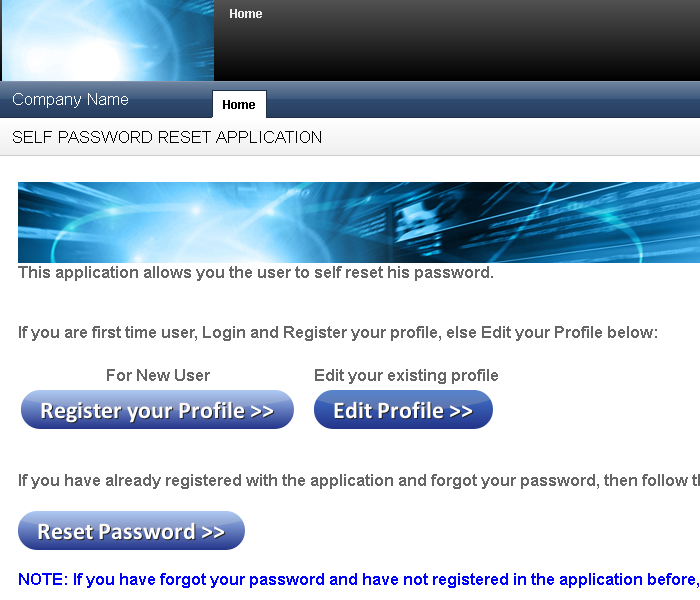 "This tools aims at minimizing Support Calls by encouraging users to Register for Self Password Reset application. Users need to do one time registration and set their secret questions and answers. Once registered, users can use this application to Reset their Webmail/Notes Client passwords without engaging the Support team." - Reset password for both HTTP and Notes client (via ID Vault) in a single step. - Front end application only consists of XPages design elements with total separation from data. - Secret answers secured with MD5 encryption. - Forced authentication for Registering/editing the profile. - Used single XPage for password reset wizard with efficient use of Dynamic content control. Browser back button send use back to the start of wizard. Therefore, application having full control of flow. - Lockout of Accounts and preventing unauthorized attempt to reset password. If tried to answer incorrectly more than 5 times. Lock-out is cleared automatically after defined interval via a Scheduled agent."